Since coming to faith in Christ at the tail end of the Jesus Movement, MICHELLE VAN LOON'S Jewish heritage, spiritual hunger, and storyteller's sensibilities have shaped her faith journey and informed her writing. 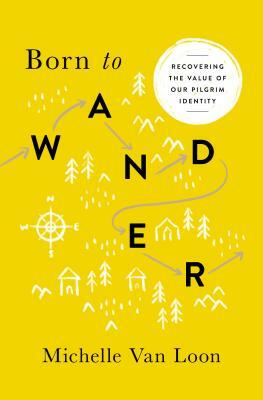 She is the author of five books, including If Only: Letting Go of Regret, Moments & Days: How Our Holy Celebrations Shape Our Faith and the forthcoming Born to Wander: Recovering the Value of Our Pilgrim Identity. Michelle is a regular contributor to Christianity Today's women's blog, In Touch magazine, and is the co-founder of www.ThePerennialGen.com, a website for midlife women and men. She's married to Bill, and is mother of three and grandmother of two. Learn about her writing and speaking ministry by visiting her website, www.michellevanloon.com.